I discovered Bella Andre not too long ago. She’s written many books, but somehow wasn’t on my radar until I read The Way You Look Tonight, book 1 of The Sullivans series. I fell in love with her Sullivan family and was promptly on a mission to read all of the series. The series is very romantic with very strong family bonds. I have enjoyed every book of the series until this one. Unfortunately, this just one didn’t do it for me and I found myself skipping through pages. Dylan Sullivan is very sweet and protective but I didn’t care too much for Grace. Maybe it was the complete love at first sight storyline. I’m not a fan of those but you might be. I just didn’t feel the spark or personality of the characters. If you’re a fan of the Sullivans series, then this is a must read, just because if you don’t then you won’t know Dylan’s and Grace’s story. I wouldn’t recommend it for a non-Sullivan fan though. I really rooting for the next book, featuring the last brother Adam, to be the comfort read I’m used to getting from Bella. 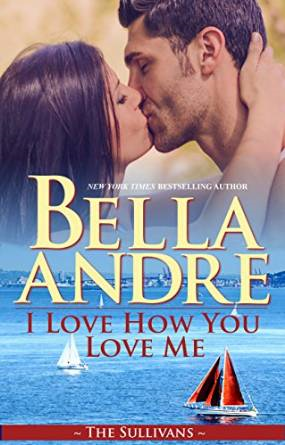 I LOVE HOW YOU LOVE ME is part of Bella Andre’s New York Times and USA Today #1 bestselling Sullivan series. While it can easily be read as a stand-alone story, you’ll likely enjoy reading the earlier Sullivan books, too.